Some of you had asked me to write about Paper Boat’s beverages. There is a general “perception” that Paper Boat drinks are relatively healthy. I’m not sure how this perception got created in our minds. My guess is because of their strong connect to nostalgia - a powerful emotion. Be it their product names, promotions, ads, visuals or their product launches linked to festivals - there’s nostalgia at their core. Aam Ras, Aam Panna, Panagam, Thandai and many such drinks take us back to memories from our childhood. Looking at their ingredients, they don’t seem to be adding any artificial preservatives or colouring substances. That’s a good thing, when compared to Tropicana or REAL fruit juices. 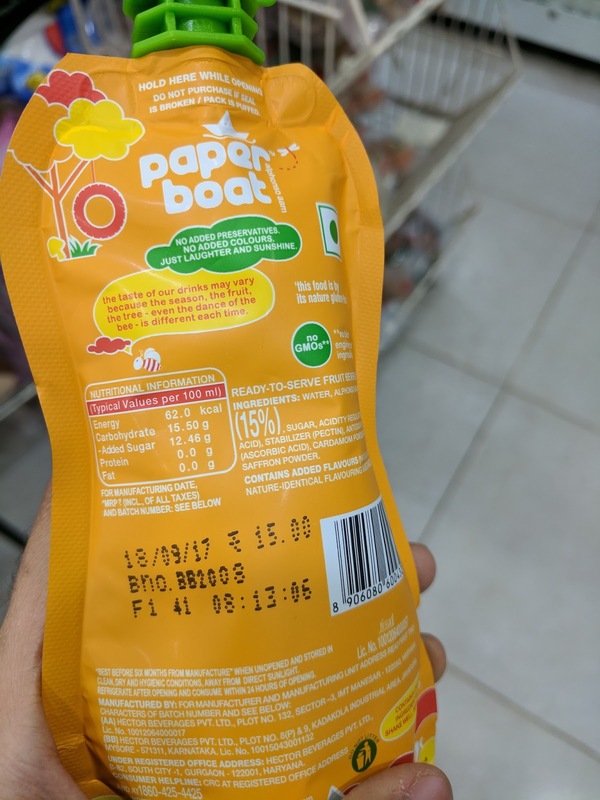 BUT, the amount of sugar in Paper Boat drinks is as high as that of Tropicana or other packaged drinks. 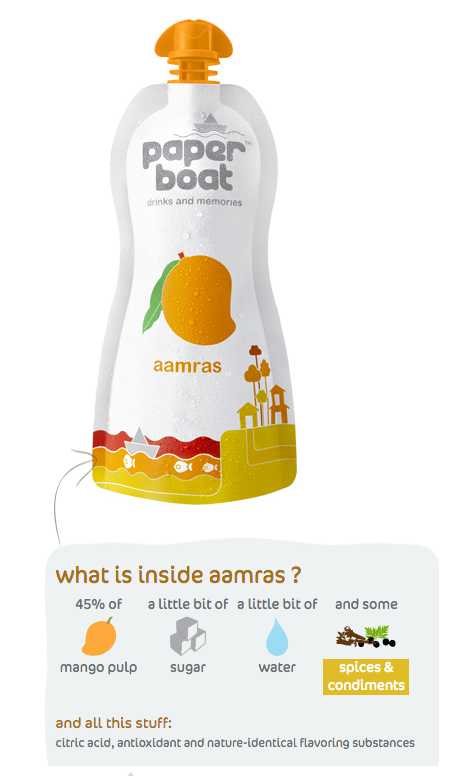 Take a look at their popular drink - Aam Ras. It is a favourite at our home too, but we indulge occasionally. 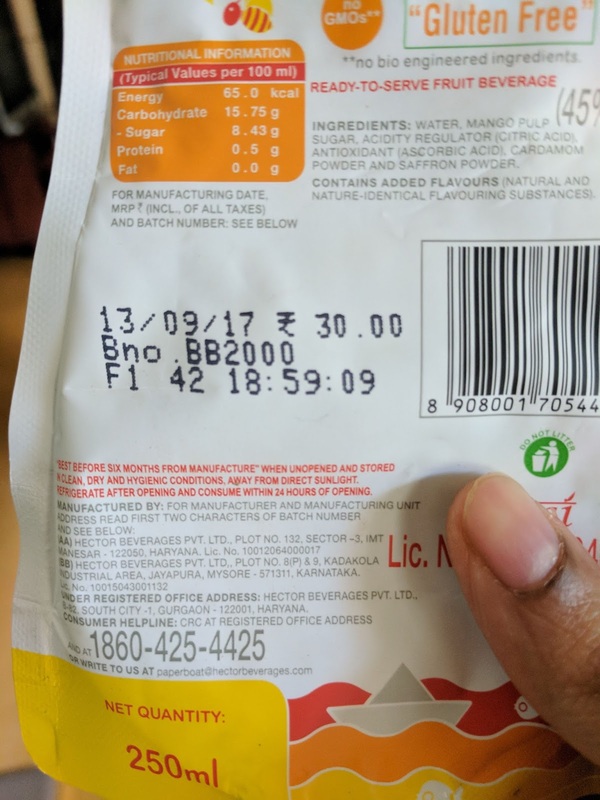 The nutritional information table shows that 100 ml of Aam Ras contains 8.43 gm of sugar. 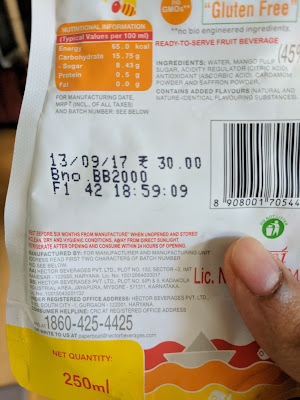 So the pack of 250 ml contains 21 gm of sugar, which is equivalent to 5.25 tsps of sugar. That’s a LOT of sugar and not “a little bit of sugar” as their website states. A pack of one of these Paper Boat juices is enough to exceed our daily allowance of added sugar. It is okay to indulge in these juices once in a while but let’s not stock up our fridge with 4-5 packs every week. There is a reason why mangoes and jamuns are seasonal fruits. Let’s embrace local and seasonal fresh produce. These all-around-the-year sugar-loaded beverages spike up our blood sugar levels and increase the load on our pancreas to produce insulin. We don't want to get caught in the diabetes net. Hello Anuradha. I am curious about whether this is addes sugar or total sugar including the natural sugar in the fruit. this is only added sugar. It doesn't include the natural sugar from the fruit. Amongst paper boat products only mango juice ok rest so so. Esp jamun juice is mixture of other juices which makes it insipid.simply fooling people.